marry christmas all of u……. oho, sathi ho, christmas party Ho KI DANCE PARTY ho??? “to make a peace in the world” or just for larkharaer kammar matrai bhachiyo??? good job to celeberate CHRISTMAS party in the chruch with SANTA CLAUS HAT , BUT NOT ONLY WITH RE-REMIX . 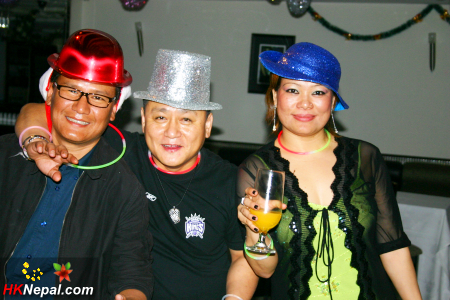 happy mery crismas n new year to all my relatives n friends in hongkong in nepal n all over the world. hey don’t miss on 31st new year party “same place” shachin let’s the party with Ashiq banaya appne……….! see u…………………….! Hi everyone with belated happy Xmas and advance Happy new year.Its really good to hear that you guys celebrated xmas dance party in Hk i missed it so much.I hope i will able to join with HK friends in coming xmas parties because i love to gathering and make fun with mates.specialy i would like to say i am missing HK as some one my special in Hk.LOL.Ok guys where ever you are and where ever i am please just make sure keep your nationality always in your heart.I love you all and wishing you happy new year 2006 once to all.Thanks your friend,challenger New Zealand. hey ehhe nice photos …having fun haaa….okiiii happy new year!!!! well re-remix changba ho changba is really mindblowing Anu ji. :)..i like that song …but has not seen video yet hehehe!!! 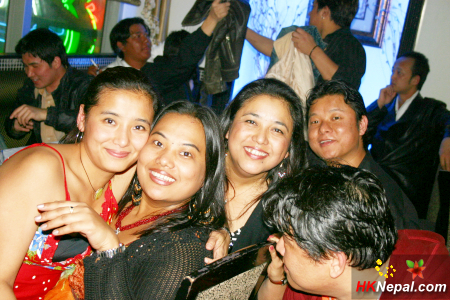 HAB FUN ALL U NEPALI OUT THERE….